….and then counsel them afterwards! Jem is truly a legend in his own… opinion. 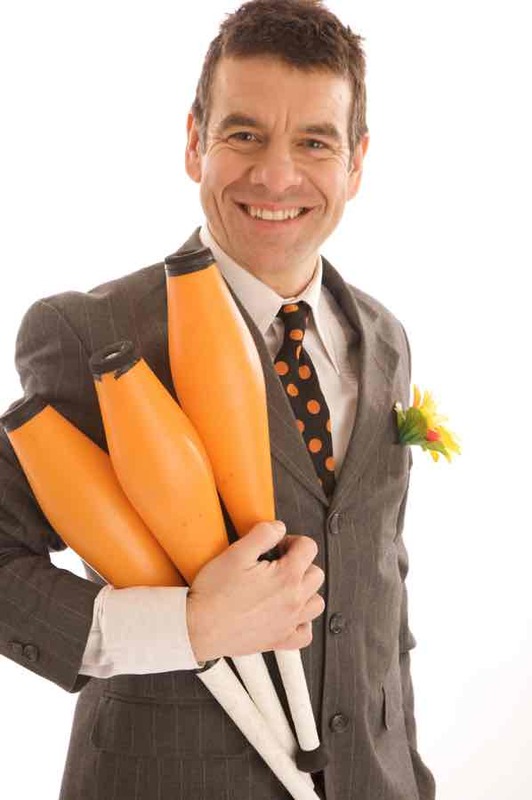 His forty minute comedy juggling show has been described as ‘over half an hour long’. 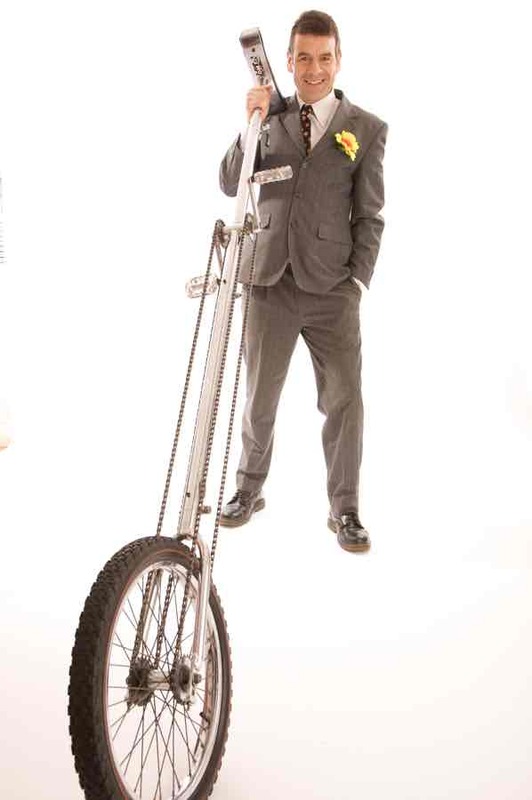 …And of course the unforgettable GRAND FIRE JUGGLING FINALE on a SEVEN FOOT UNICYCLE! 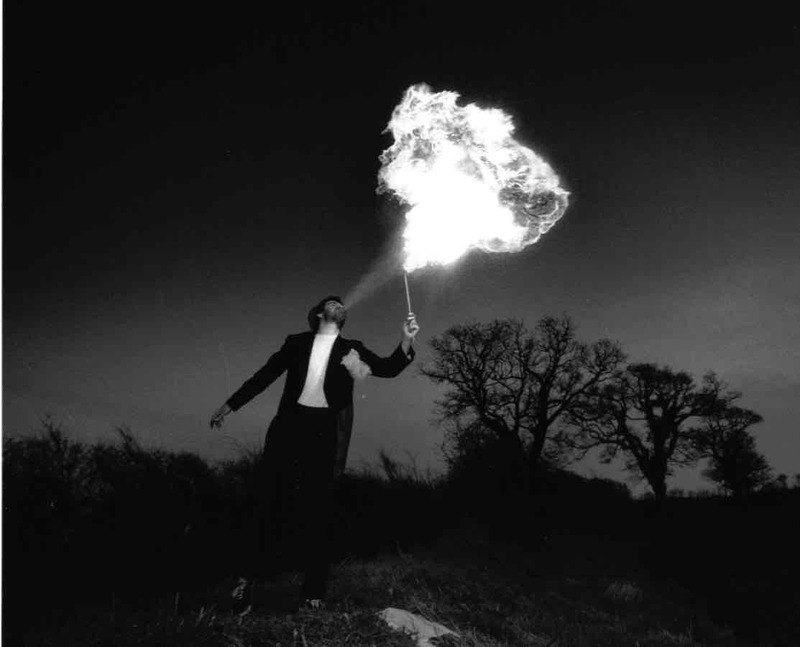 All routines are seemlessly linked with an abundance of comedy patter, live music, spoof magic and daring feats from the man who does not know the meaning of the word FEAR (and many other simple words). 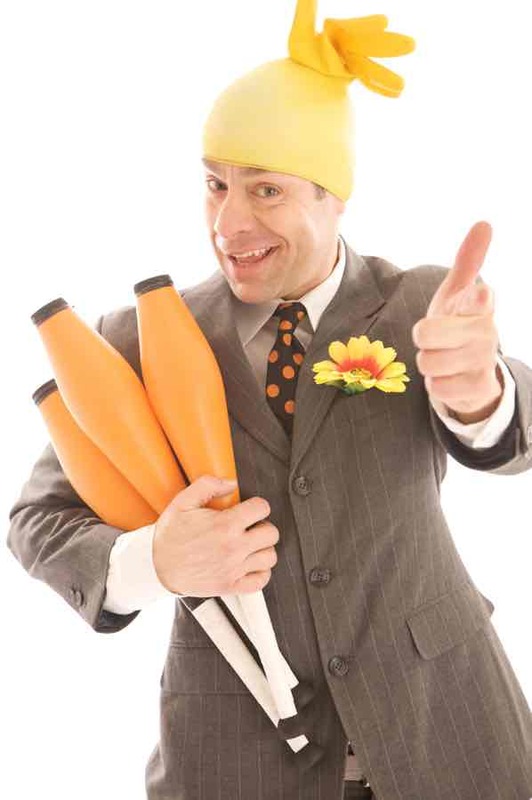 Shows are very flexible and can be tailored to suit all ages, groups, venues, themes and ceiling heights! Wandering performances are also available for ‘maximum comic coverage’.